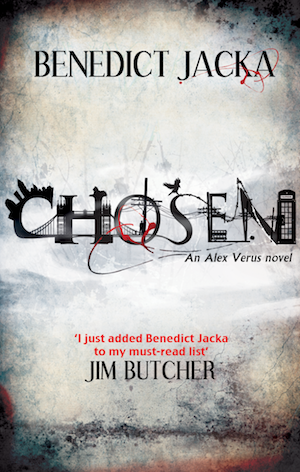 7 Responses to Chosen UK cover release! Very, very nice. Let’s see how different the US cover will be. Do you have a say in the matter or is it the publisher’s decision? A little! Depends how much of a fuss I want to make, really. Can’t wait until September. I always recommend your series to other readers perusing the SF/paranormal shelves of bookshops. Already pre-ordered it! Very much looking forward to Sept.
Jenni, Lisa – thanks! I’m looking forward to it too. It feels to me as though Chosen’s been done for a long time, so I’d like it to be out there! Can’t wait for the release, I’m counting down the days! Buying Chosen will be the perfect treat after I finish my exams! Love your books, can’t wait for Chosen!! !